What’s the next IPA? It’s a question people often ask Dr. Bart Watson, chief economist for the Brewers Association (publishers of CraftBeer.com). In a 2015 blog post, Watson’s answer was this: IPAs. Look how right Watson was. Why am I calling the biggest trend in independent beer the Anti-IPA? 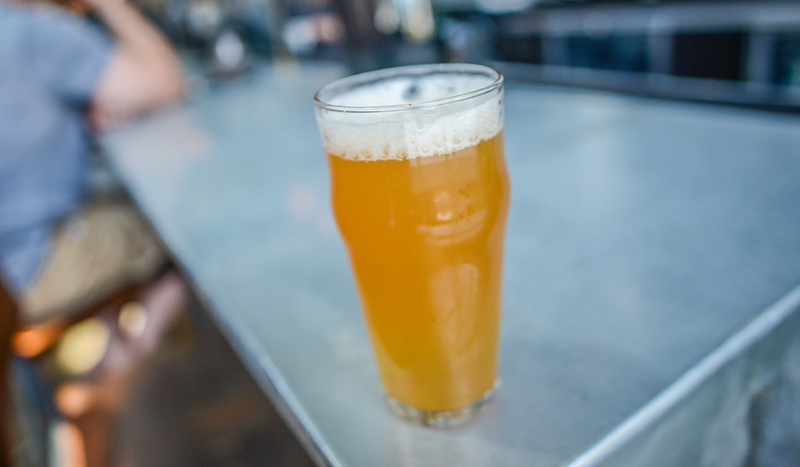 First, let’s remember that New England Style IPA is not officially a beer style (despite our April Fool’s Day piece that’s still fooling people). Then, consider this: Not only does the New England Style IPA reject the classic IPA M.O. (i.e., bracing-bitterness), but when combined with its unorthodox appearance, I contend it commands an anti-hero appeal like Deadpool. Since everyone is their own best beer expert, misconceptions about the (unofficial) style are sure to abound, adding confusion to the conversation. But I am here to assert that our Anti-IPA is just a little misunderstood. You’ve heard the saying, “Don’t judge a book by its cover.” The New England IPA is no exception. So, what is all that stuff? Let’s explore. Why is a New England Style IPA Hazy? It turns out, the answer is as murky as the appearance. Fisher could not definitively say what creates the haze. Some fans assume it’s the result of the heavy-handed late and dry hopping that the beer demands. Others point to the more characterful yeast that fail to settle out of solution — a term known as flocculation — which other yeast styles are known for. At the end of the day, it’s probably a combination of both since hop components can absorb into yeast. In any case, the hop matter and yeast, along with the use of other ingredients including chloride – as opposed to sulfate, which is common to other IPAs — water additions and oats in some cases contribute the distinctively softer mouthfeel. 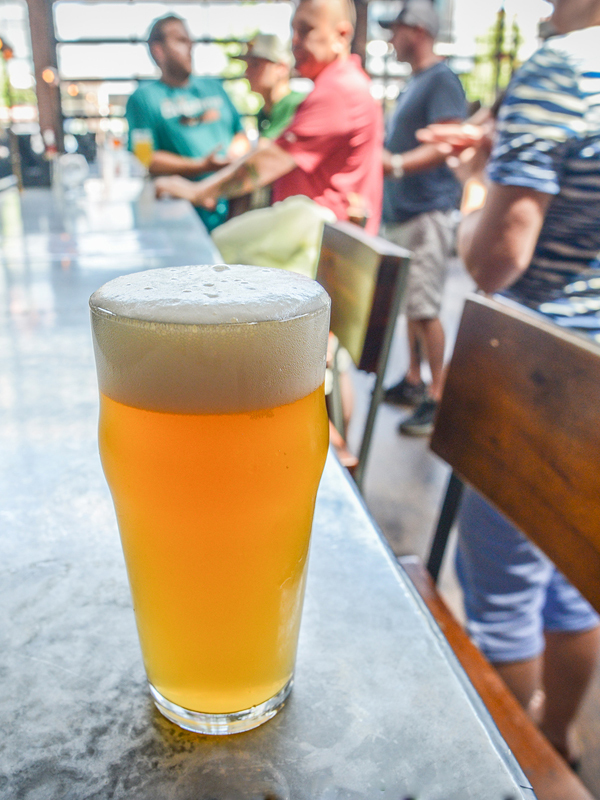 “The beauty of the style is that hop flavor, hop aroma – both reminiscent of fruit juice – and mouthfeel all take precedent over appearance,” he says. In addition to his own creations, Neil suggests those interested in seeking out examples of the style check out fellow Anti-IPA brewers from Tree House, Trillium, Great Notion, The Veil and Monkish. “Those breweries seem to be constantly raising the bar for the style,” he says. No matter if the haze personally appeals to you, the excess matter in these beers makes them highly perishable and could have impacts if you don’t drink them fresh. Drop In Brewing’s brewmaster Steve Parks warns of the potential risks of packaging unfiltered, highly dry-hopped beer. 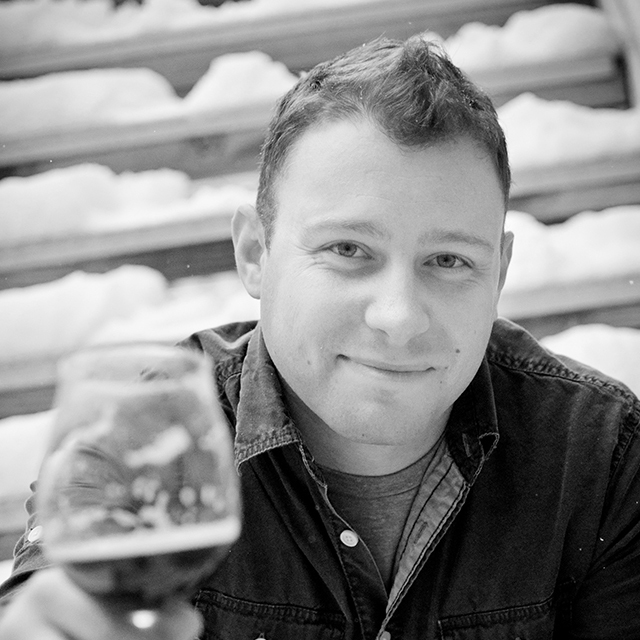 “Brewers who don’t filter take on the added risk that not filtering beer brings,” he says. Those risks include souring due to contamination, off-flavors from yeast autolysis, and buttery off-flavors from dirty draft lines. Worth noting, yeast autolysis and draft line build-up are valid concerns, but hops provide microbial protection which could be presented as a mitigation to contamination. Nevertheless, with quality at the forefront of independent brewers’ minds, it is imperative that we consider the effects that permanent haze presents to packaged beers sitting on store shelves. 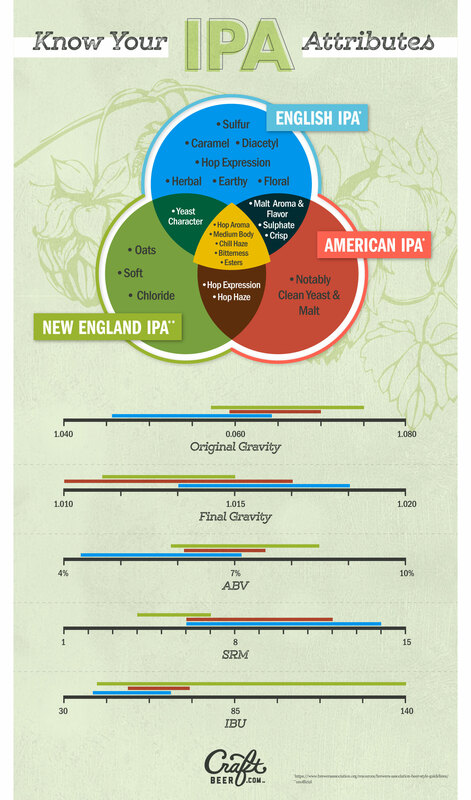 Despite the confusion, beer fans are cray-cray for New England Style IPAs. The style confirms the ceasefire in the decades-long IBU arms race. The appearance offers mystique. Personally, I hope that someday we’ll celebrate these beers on the grand stage of the world’s greatest beer competition. Neil Fisher agrees. He submitted a request for the Great American Beer Festival (GABF) to adopt the style as an official competition category, but it was not approved for 2017. 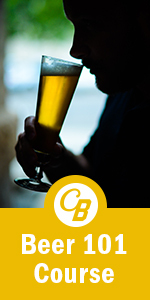 That means style experts believe further exploration and understanding of the beer’s nuances is imperative. And that’s okay. These decisions take time and deserve careful consideration. Meanwhile, the work for Fisher continues — and he’ll continue making Juicy Bits the way he likes. At its core, this beer not only represents brewing innovation, but it also captivates beer lovers fascinated by hops. The late hopping, indicative of the style, provides the same intense hop experience through flavor and aroma instead of, but not without, bitterness. Sure, there’s a trade-off in the form of a different aesthetic that some people don’t find pleasing. But that’s alright. Many do, and if people want them, you can be sure there are brewers who will oblige. That’s the life of an anti-hero.